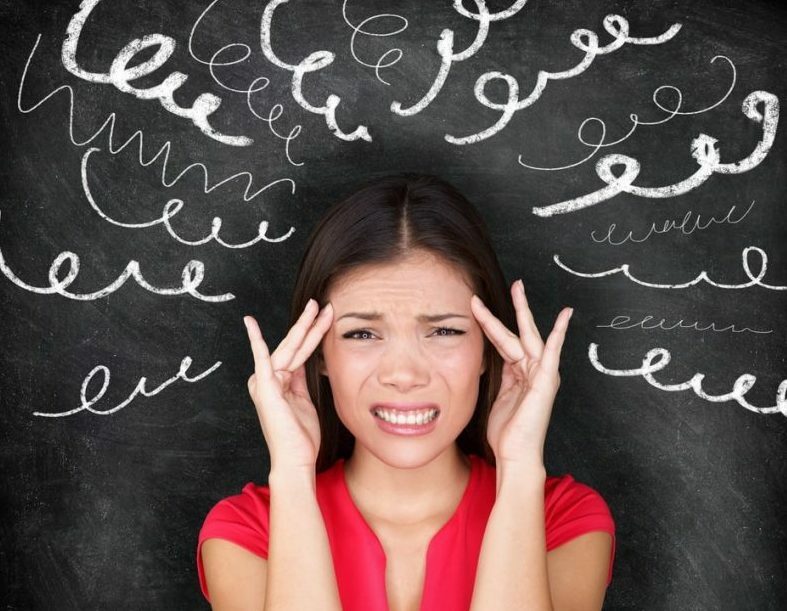 Worrying, obsessive, intrusive or racing thoughts are some of the symptoms of anxiety that can bother people the most. They do not understand how they can have these thoughts that seem so scary and come with such impact and such frequency. These worrisome, intrusive thoughts seem to come automatically, and those that suffer from them have little to no control over their presence. These can be constant thoughts about their health, life, those closest to them or even negative thoughts about themselves, creating a negative self-image. They may be repetitive, compulsive thoughts about interactions they have had during the day or things that have happened in the past or may happen in the future. Why do your thoughts never seem to stop? 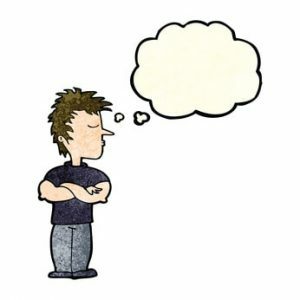 The main reason you have numerous thoughts running through your mind is due to all your confusion about how you feel, constantly thinking has become a habit, and so now the brain has a constant momentum to it and the reason it never seems to shut up. Worrying can also become a habit. When you are in an anxious state, thoughts and emotions seem to be exaggerated, and everything is magnified. A little problem becomes massive and something that you could dismiss when you were healthier, sticks around all day. The simple answer is that you can’t control them. You can’t control your thoughts any more than you can manage your heartbeat. If you could, then you would be able to continually think positive thoughts and stop unwanted thoughts coming, which we know through experience is not possible. If it were, then there would be no negative, worrisome, racing thoughts and you wouldn’t be reading this chapter. You can be free of negative, worrying thoughts, but it won’t come through trying to control your thinking process. Trying to push down or suppress the thoughts you don’t want, won’t free you from them either; in fact, it will have the opposite effect. Understanding this one fact is the first step to being free of obsessive thinking, as you can now stop wasting vital brain energy trying to control or suppress your thoughts. Trying to control or silence the mind also requires more thinking, and so you end up in a constant loop of creating more noise. It is important to understand that it is your mind that generates thoughts, not you. So, trying to control your thinking serves no purpose; it only exhausts, frustrates and keeps you locked in a cycle of constant thinking. Thoughts are just a form of energy passing through your consciousness and are mainly formed through the energy you are currently experiencing. So, if you are feeling depressed, then they tend to have a sad flavour to them. If you are angry, then they usually have an angry flavour to them, if you are happy, then they will most likely have a joyous flavour to them and so on. So, this is why when you are fearful/anxious, your thoughts tend to have an anxious/worrisome flavour to them. This does not make them real; in fact, it tells you how false and how unimportant they are. A lot of these thoughts are your mind’s way of trying to release what is trapped within, be it anxious/fearful energy or old subconscious beliefs that serve you no purpose. 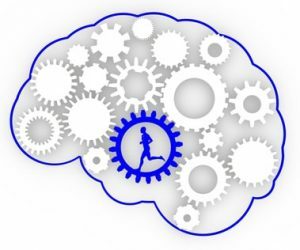 This is why your mind can be a lot calmer after strenuous exercise, as a lot of this energy has been burnt off. It is also why people can get addicted to exercise in an effort to quieten their mind. It is what I initially attempted to do until I realised that I was still trying to suppress and control my mind and not getting to the root of the problem. Why do my intrusive thoughts come with such speed and frequency? The intrusive thoughts come with such frequency due to your constant obsession with over-thinking; through the need to keep going over things, worrying about things and trying to fix them. 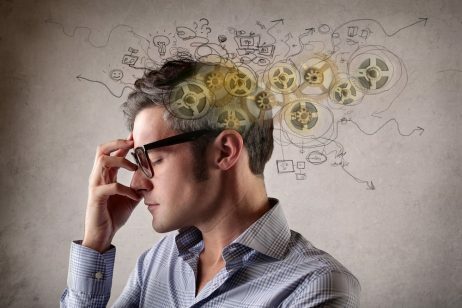 It is your overuse of the mind and the thinking process that gives it momentum and forms a habit of constant thinking. This is why your mind can feel exhausted, out of control and frantic. It’s like you want to find the ‘off’ button but can’t. Trying to think your way to a calmer mind just means you are going back to using the mind in an attempt to control the mind, which means more thinking. The speed and frequency of your thoughts are due to an overuse of the brain and why the solution can never come from there. Why are my thoughts so negative? People ask me why their thoughts always seem to be mostly negative, and my reply is “Because these are the thoughts which you give the most attention to, and the thoughts you give the most attention to will keep repeating within your mind as you are not allowing them to pass on through”. This understanding is true for anyone. If we were just going through our day and thinking about what we need to get in for tea, the appointment with the vet or the new shoes we need for the night out next week, then these thoughts would just come and then pass on through. But then suddenly we see someone we know walk past, so we wave and yet they turn away without acknowledging us. “Why was she so ignorant, I’ve always been there for her? As this thought has been deemed far more important than the others, it is not allowed to pass on through. So, it sticks and keeps repeating itself in our mind due to our obsession with it and stays there until we can come up with a solution to ease our concern. Then all of a sudden, our friend texts us and apologises for not waving back. They didn’t recognise us until they got further down the street and then realised who it was. Due to this our mind is appeased and so the thought is then able to pass on through, and so we then find the relief we were looking for. When we suffer our thoughts tend to be negative due to the fact that when we feel anxious and down, we usually think far more negative thoughts than positive ones and so thinking negatively becomes a habit. So, it is vital to allow these thoughts to pass on through without obsessing about them or believing them to be factual. You may often come across people who never seem happy, who always have something bad to say about others and are continually complaining. Is it because life treats them differently or that negative thinking has just become a habit for them? Our mind is like a garden, if we keep planting weeds, then that is what will continue to grow. Once you put belief into any negative or intrusive thoughts and identify with it, then it will most likely bring down your mood, and so more negative thinking will occur. If your mind produces any negative or intrusive thoughts, then allow it to do so without giving them your belief or attention. Without your belief and attention, these thoughts are free to pass on into nothingness. Even if a thought keeps repeating itself within your mind, don’t try to stop it. Don’t try to reason with it, just allow it to repeat itself until it runs out of energy, which, without your constant attention, it will. What continually changes can never be real and your thoughts are changing all the time, as are your emotions. It doesn’t matter what you think or how you feel; the world spins the same for everyone. The outside doesn’t change because of how you think, just your personal experience of it does. Your thinking literally creates your experience and why we all experience life differently, as no two people think the same. This thinking process works well when our thoughts are mainly calm and balanced because they don’t create much turbulence. The problem only occurs when our thoughts become worrisome, negative and fearful. As then the outside falsely appears to be a dreadful, worrying place to be, full of problems that continuously need our attention. This is because our outer world is always a reflection of our inner state, there are no exceptions to this. It is only the belief in these thoughts that cause people to start avoiding life and to worry and complain more, not realising that their outer world hasn’t changed, just their thinking process. The world is the same, non-threatening place it was before they suffered. It just no longer appears that way due to their identification with the fearful/anxious thoughts in their mind. Without identification and belief in their anxious/fearful thoughts, these thoughts would have no power over them and would also have no fuel to continue, and so would start to fade away. How many times are our thoughts about a person or a situation entirely wrong? 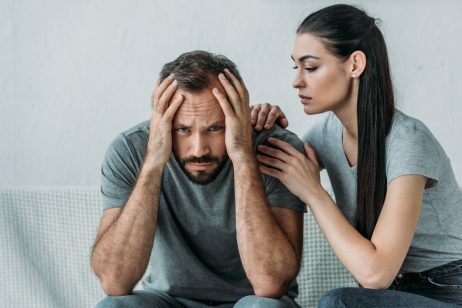 Someone who has insecure thinking may constantly think their partner is going to leave and so may need constant reassurance. Someone who has anxious thoughts may believe that everything will go wrong. They then feel like they have to stay in constant control and so may spend all their day worrying about things that haven’t even happened. 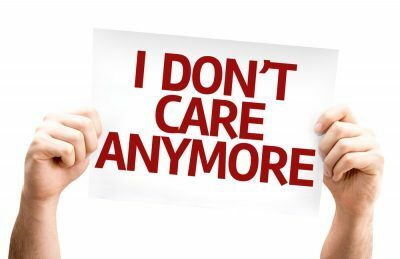 Someone with thoughts about low self-esteem may falsely believe that nobody cares about them and so the smallest thing can offend them or they fall into people pleasing habits, always wanting and needing people’s acceptance. Can you see how people’s individual thoughts, when identified with, can shape a person’s experience of life? Let’s take the first example from above and explain in more detail about how your past experiences can lead to your current thought process. So, let’s say a woman has been cheated on in her last two relationships. Due to this, she will then be much more inclined to have thoughts about the next one going wrong. Because of these thoughts, her new partner and the relationship will most likely begin to suffer. The thought may be ‘He will just do the same to me’. She may then question where he is, continually seek assurances and drive herself crazy through her insecurities until the relationship finally breaks down. Now there was nothing wrong with this thought appearing as it came through a belief created through her past experiences. The problem occurred because she became identified with the thought and saw it as the complete truth. Now I am not saying this new man was a knight in shining armour or another frog, but the point is the new relationship never stood a chance because of her identification with her current thinking patterns and why it is so important to see through them. If this lady could have caught this thought and realised it was just a conditioned response due to her past experiences and not necessarily fact, then she could have put her insecurities to one side and given the new man and relationship a chance. Those insecurities may have still popped up, but she could have seen the truth behind why they appeared and not reacted so strongly towards them. This is the same as someone going to a supermarket and having an anxiety attack for the first time. Due to this experience the next time they are due to visit their mind may come up with the thought ‘Hey this is where you felt anxious before, don’t go back’. As you can see the mind is designed to keep you safe and protect you and so it is just doing its job. But on this occasion, it has got it wrong; the anxiety attack had nothing to do with the supermarket, this was just a mere coincidence. As what real danger is there in walking around putting groceries in a basket? The supermarket doesn’t become more dangerous because of a thought you have, it stays the same safe and peaceful place it has always been, only your belief in that thought has the opportunity to disguise this fact. So once this thought is seen through for what it is and you go back there, then, as explained previously, your mind gets this and so the protection is switched off. Thoughts and emotions are the minds way of protecting you from danger, the way to override this is always to show it that you’re fine. “But how do I know the difference between a real threat and an imaginary one you may ask?”. Trust me, if there is a real danger then you will know about it, you won’t have to question which is false and which is not. Just remember you are always in control of the decisions you make, you can always override your anxious thinking and live the life you wish. Time and again our thinking will prove to be incorrect and have no truth in reality. This false thinking happens to every one of us at some point. Yet we always go back to our thinking to tell us the truth about a situation, never stepping back and thinking that maybe our thoughts don’t deserve the respect we give them. Remember thoughts are not the problem here, you can think whatever you wish. It is your identification and belief in them that creates the problem. Only then can they take over and dictate how you live your life. Don’t attempt to ignore your thoughts, just allow them to run freely in the background and they will run out of momentum all by themselves with no involvement or interference from you. Also, the less you get involved with your thinking, the more the momentum in your mind will die down, and so the habit of over-thinking will diminish. So, don’t ever think, “I must not think that”. Let all thoughts come and do not attempt to suppress or turn away from any of them. See them for what they are – thoughts/energy forms, exaggerated because of the way you feel. Many are just old conditioned thoughts of no value created through your past experiences and some are created through your mind trying to make sense of everything and release the energy that has been built up within, like a kettle releasing steam. It doesn’t matter what their source is, the same approach applies. The conditioned thought eventually disappears through a lack and belief and interest in it and so do the ones created through your mind releasing its pent-up energy and momentum, so learn to give all thoughts their space and they will release themselves. I was once repairing my bike, and when I had finished, I spun the wheel. After a while, the wheel came to a stop of its own accord. I suddenly had a real insight into the fact that the best way to bring the mind to rest was to no longer try and control it but just to leave it alone, especially when it was at its nosiest and spouting out all its nonsense. In the past the more frantic and noisy it was, then the more I would try and silence it while continually getting angry when I failed. This realisation made utter sense to me now as to why this approach never worked and why doing this just stirred it up more. If I just left it alone and stay aloof to its noise and antics, then it would come to rest all by itself, just like the wheel on my bike did. The spinning wheel was like my mind having a thought storm, spinning its tales and nonsense. Me getting involved with it all by adding more thinking was like turning the wheel again and again, and so it could never come to rest. If I just allowed the thought storm in my mind to be as it was, then eventually it would have no energy left to continue and would come to its own place of rest. This analogy worked very well for me as I wasn’t trying to stop the thoughts or ignore them and neither was I was trying to control them or sort them out. I just allowed the mental noise to happen without getting involved with it. Nothing happened overnight but, eventually, with this new approach, my mind truly started to calm down and I began to feel far more mental peace. So, accept that, at first, your thoughts may still run for a while until the momentum in the mind runs out. See this as perfectly normal. 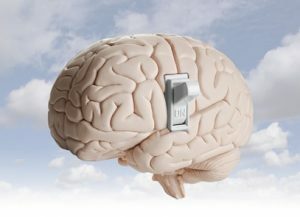 Just allow the brain to be like a free running computer, which is really all that it is. Let it throw out what it wishes and allow it to think as much as it wants without feeling the need to get involved with it or sort it out. Give no importance to its noise and antics. This approach is the way to be free of negative and repetitive thinking and find peace from a chaotic mind. As you may have now realised, the mind can never come to rest through force. It can only come to its own resting point when you pull your interest away and leave it alone to do so. If you held a bowl of water and wanted the water to settle, you wouldn’t start trying to do this by force, as all this would do is disturb it even more. What you would do is just put it down, let it slosh around for a while and allow it to settle by itself. You always find peace through a non-doing, not a doing. Peace will never come through struggle, strain and control. This is the way to be free of any form of negative thinking and calm your overactive mind. Never get into a battle with your mind. Never try to force it to think differently or to quieten down through force or willpower. Just let it find its own resting place. How do I release past negative thoughts? If you have constant thoughts about the way someone treated you, or a bad experience you went through, and keep regurgitating it in your mind, then the memory of this experience is never released. The thought will just keep gaining energy, and so the brain will keep on repeating it, which again will begin to disturb your peace of mind. The experience you are thinking about is not happening now, so you are free to let it go; it is the letting go of it that frees you. The memory, which again is just a thought form in your mind, begins to run out of energy and so your mind is then able to release this experience and become free of what was disturbing you. It is not the past experience that is hurting you; it is you holding on to it that is. Keeping it within while repeatedly going over it doesn’t help in any way, shape or form. It just keeps disturbing your peace at this moment and serves no other purpose. 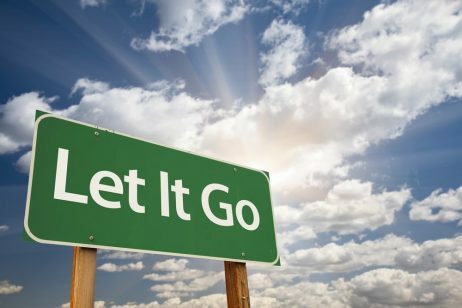 I am not saying there aren’t things that people find hard to let go off, and some may need to talk this through before they can let go completely, but I see people holding on for months to a minor argument they had with a friend or a throwaway comment someone made to them weeks ago. This is why after a break-up people recommend throwing away all traces of the person, deleting them off your phone and all social media as this is the best way to get over them. This means that by removing all traces of them, you are not continually reminded of that person as much and so the memory of them eventually fades out. In doing this, you are free from the pain of the break up far quicker than you would be by holding on to it and going over past photos and memories. The most important thing to take away from this chapter is that thoughts in themselves are not the problem; it is your identification with them that is. This identification is what has you constantly going over things, adding more thinking on top of thinking, which keeps you in a continuous cycle of a noisy and chaotic mind. It is also your fear of your thoughts that cause you to attempt to suppress them, and once again this fear comes through your belief in them. No thought is more important than another, and none of them are personal. Without identification, thoughts have no power and no fuel to continue. When you are finally able to see this, it will change everything. Also, don’t try to sort out the noise in your mind through any form of control or suppression, if your mind wants to be noisy then allow it the freedom to be noisy. Allow it to think and worry about whatever it wishes while you become a detached observer, unaffected by the mind’s antics. It is important to realise that the mind’s nature is to be calm. It has just ended up in this state due to what we have put it through; the worry, the stress and the over thinking. We have just pushed it beyond its capabilities and fallen into a habit of continuous thinking. We are responsible for the minds current state, not the mind itself. 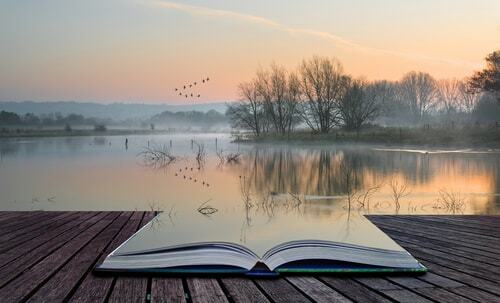 All the mind needs to go back to its natural state of peace and clarity is to be left alone. Trust me; if you leave the mind alone, then it will sort itself out and eventually find its natural resting state and regain its equilibrium. It truly needs no interference from you to once again be at peace.